RG59 Coaxial cable for video frequency MIL C17 Standards. 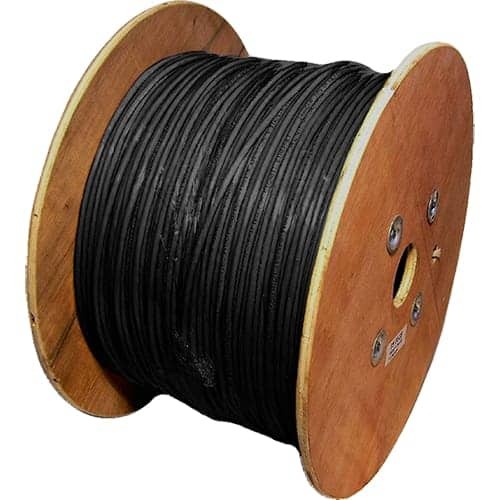 Coaxial braided shielded cable. Insulation: Compact PE. Conductor: stiff wire in red copper CW. Shield: braided covering 98% – red copper. Shield: Braided covering 98% O.F.C. red copper. For the installation of a new RG59 coaxial cable please contact us at ADI communications by calling 0800 0132341 today. Or alternatively, visit us at our contact page and fill in the contact form.